Andy Griffiths is one of Australia's most popular children's authors. 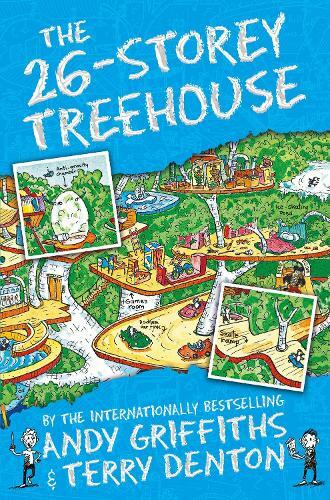 Andy is best known for the Treehouse series and over the last 20 years, Andy's books have been international bestsellers, adapted for the stage and television and winning more than 50 Australian children's choice awards. Andy, a passionate advocate for literacy, is an ambassador for The Indigenous Literacy Foundation and The Pyjama Foundation. Terry Denton is known for his humorous illustration style and his highly successful partnership with Andy Griffiths on the Treehouse series. He lives by the sea in Australia with his wife, three kids, and a pop-up toaster that only toasts on one side.